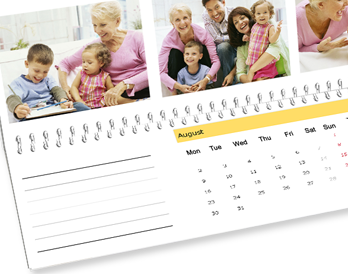 This extra-strong folding calendar (size when open 29.7×20 cm) fits any desk and gives you lots of space for your notes. 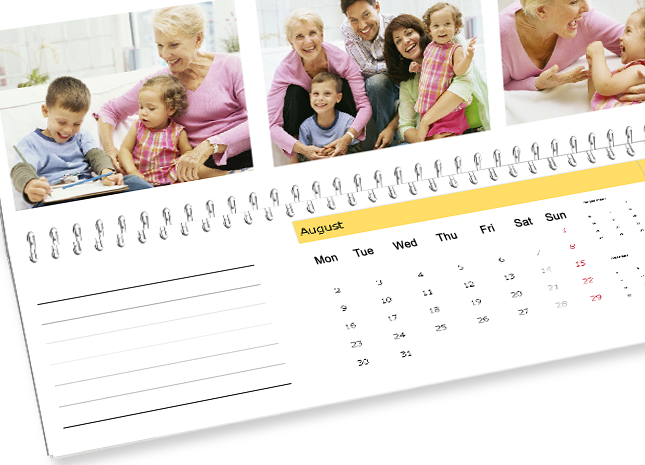 It makes your favourite picture look great - at the office or at home. 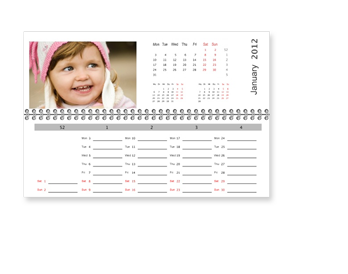 Simply choose from the different many calendar template options to design your totally unique calendar. 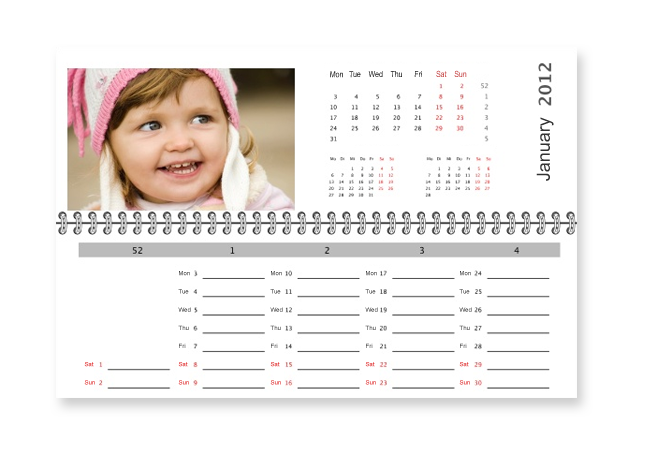 You can choose the starting month freely, making this calendar a great gift idea for any occasion.